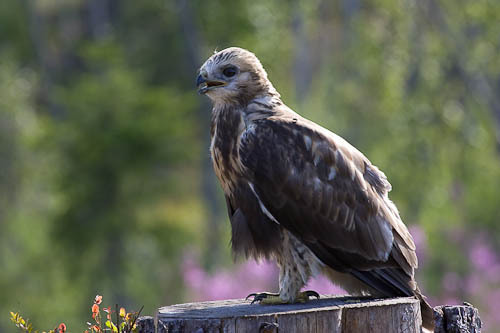 Olli Korhonen | Ever seen a predator chick falling prey to its sibling? 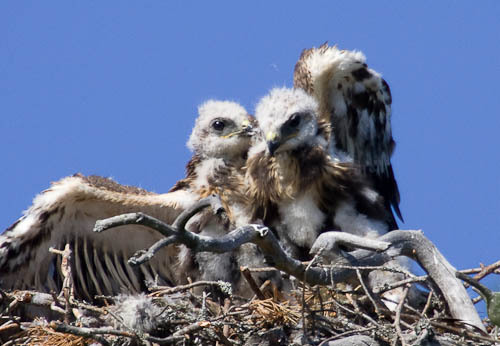 Ever seen a predator chick falling prey to its sibling? 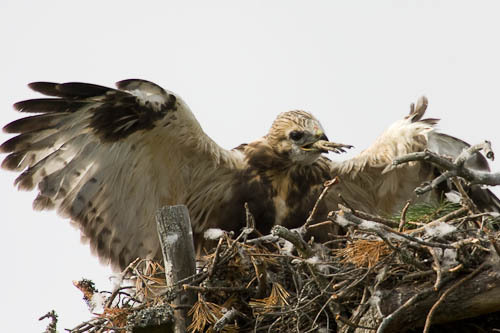 Three summers ago I documented the first nesting of Rough-legged Buzzards in the part of Finland where I live. All the following photos were taken in cooperation with a local authorized bird ringer. 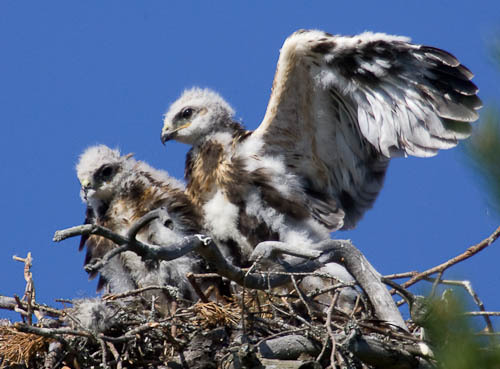 One day I witnessed how the smallest of the three chicks was violently attacked by one of the bigger chicks. 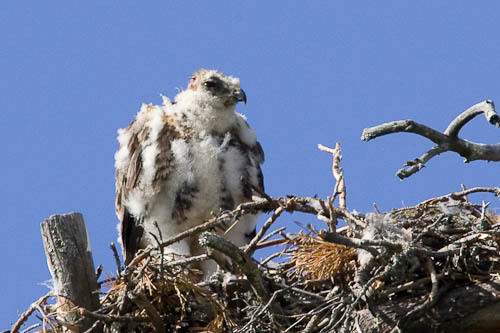 Some time afterwards I saw the small one appear on the edge of the nest looking very sad. And bald. That was the last time I ever saw the poor thing again. It later turned out that it had got eaten by its siblings, which, of course, is quite common among predators. As a matter of fact, what happened was very understandable since the number of voles, which are their main prey animals, crashed during the nesting season. As a consequence, the family had to survive with the little that the parents could set their claws on. And the rest of the family did survive. 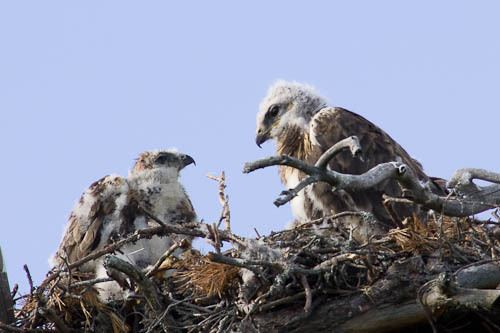 What is most important, the two older chicks grew up to be truly impressive young Buzzards. 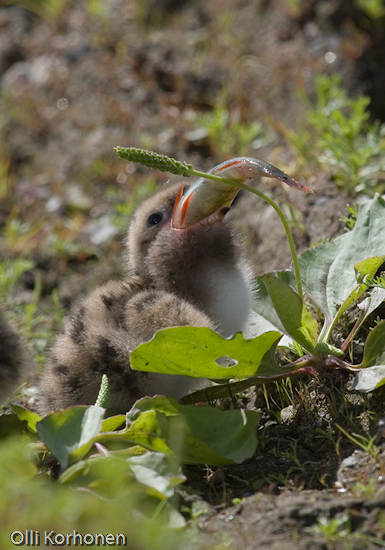 A Common Tern chick almost choking on too big a fish? Is This Whooper Swan’s Behaviour a Sign of Real Intelligence? 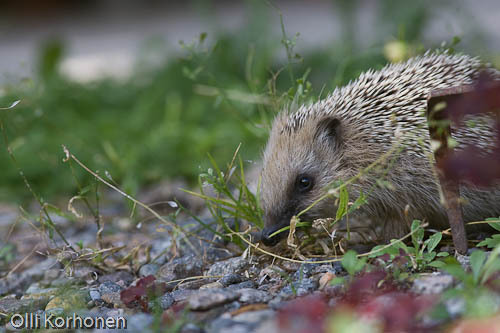 Murder by the Doghouse That Jack Built – The Tragic Death of a Hedgehog. 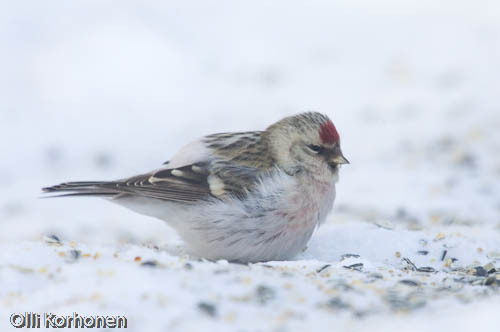 An Arctic Redpoll burrowing into the snow, extremely rare. 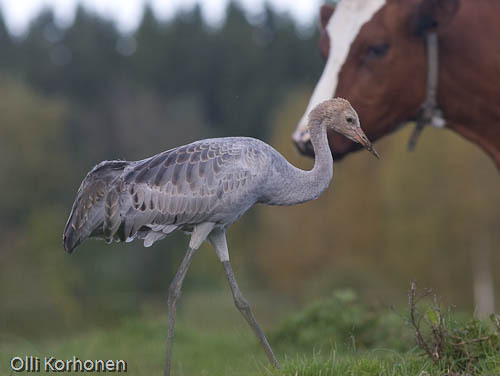 Ever seen a Crane that took itself for a cow?